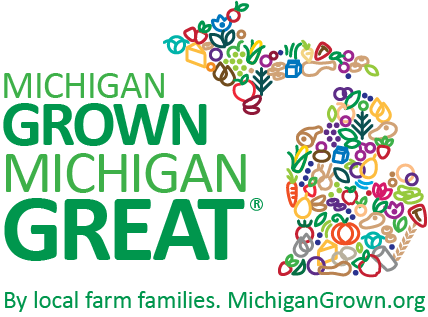 Farming with Dad | MICHIGAN GROWN. MICHIGAN GREAT. With Father’s Day approaching us, I’m thrilled to get the chance to write about farming with my dad, Dave. I didn’t spend a lot of time on the farm when I was younger, but once I left for college I realized fairly quick how much I enjoyed the farm and the opportunity to work alongside my dad. My dad is a straight-up hard worker who teaches by doing. He farms full-time while I’m part-time. We farm together, although we have separate operating business entities – we share equipment and help each other with labor. My dad has been invaluable to helping me get started farming – being able to utilize his equipment (I don’t own a lot yet) has been a huge help, but it pales in comparison to his knowledge and patience (mostly patience in dealing with me). We have a small shop, which oftentimes gives us a chance to work closely side by side and share conversations. My dad is often a man of few words, but the conversations I share with him are the ones that I value the most in my life. Little things like hearing about how farming was 40 years ago, or some crazy new project he wants to begin, or a joke he heard on a Seinfeld re-run while we’re both covered in oil underneath a tractor is something I only get to experience with one person. I always look forward to leisure time spent together as a whole family because my dad and I always seem to find ourselves talking about something on the farm, which can sometimes annoy our wives (farm talk never stops, ladies). 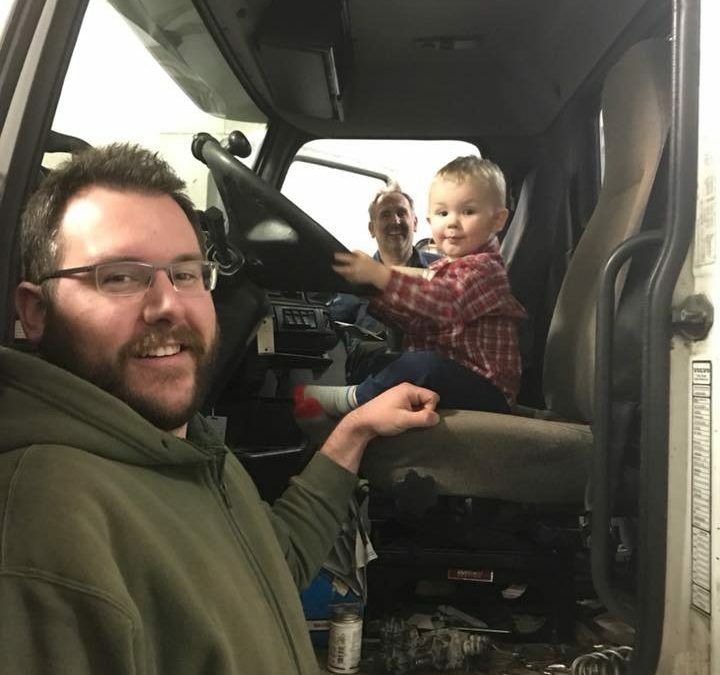 It’s fun to be able to share a mutual interest and passion with your dad and to have different skills that you can work together on to accomplish a goal. There are definitely rough days when we get upset at each other for various things, but ultimately the opportunity to spend time with my dad is what keeps me working long hours on the farm despite having a full-time job. My dad has never put any pressure on me to farm. Now that I have a son of my own, I try and apply my dad’s silent lessons to practice. I hope I never put any pressure on him to farm in the future, but silently, I hope I get the opportunity to spend this time with my son like I get with my dad. Jason Koning farms corn and soybeans alongside his dad, mom, and wife, Jen, near Capac, in Michigan’s southern Thumb. 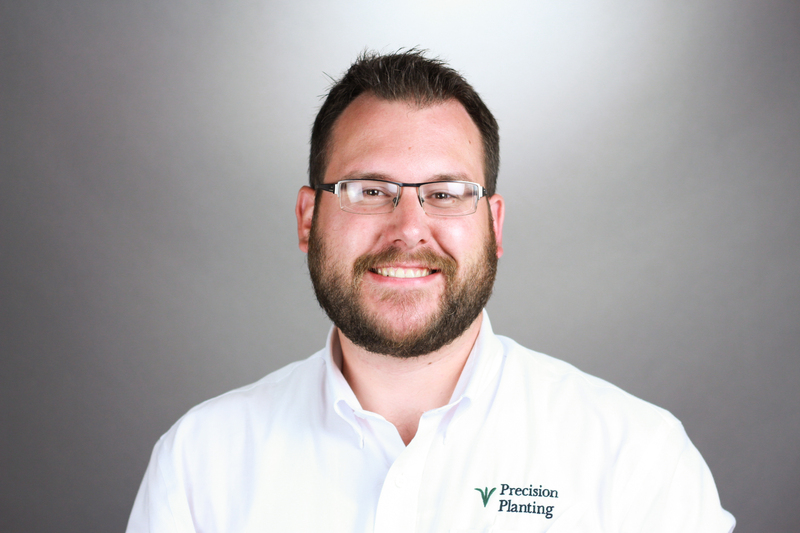 He works full-time for Precision Planting as a Region Manager in Michigan & Northern Ohio. 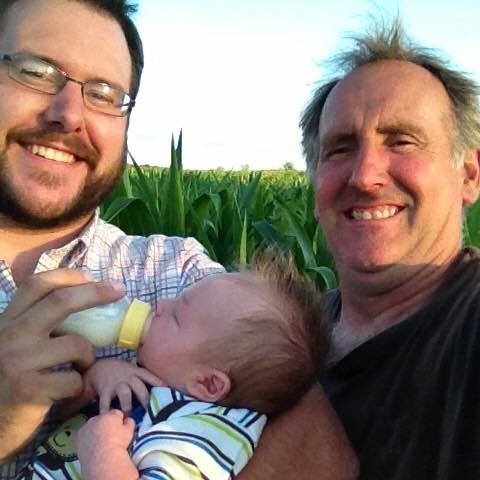 Jason and Jen have a son who enjoys spending time with his dad and “papa” on the farm already.